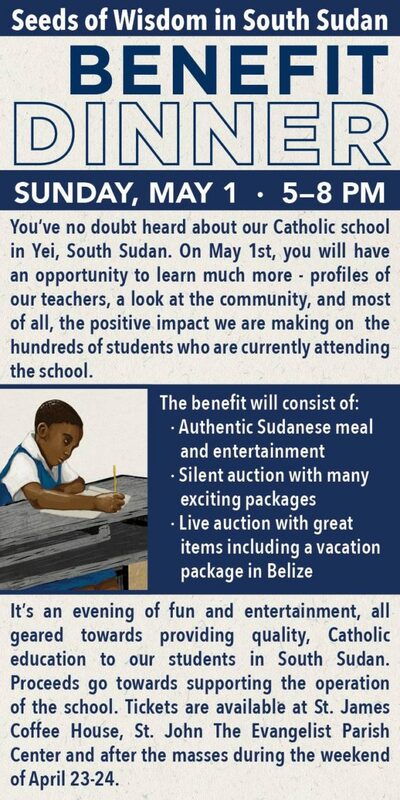 Experience a Day in the Life of our students attending St. John the Evangelist Catholic School in Pukuka, Yei, South Sudan, by joining us for the Third Annual Seeds of Wisdom in South Sudan Benefit Dinner! 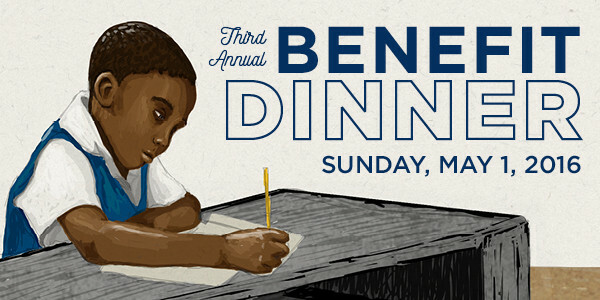 What: A Day in the Life, Dinner, Silent Auction, Live Auction, Fund the Need, Wine Table, Videos, and more! Other information: Business casual. Parking available in St. John’s lots, on the street, and in nearby parking ramps. Email us at info@sowsouthsudan.org for more information. We can’t wait to see you there!